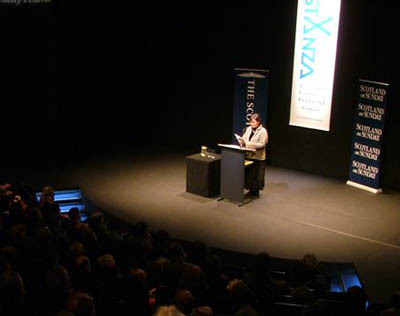 StAnza programmes a wide selection of readings throughout the festival: main stage readings in The Byre, teatime readings in Parliament Hall and an eclectic selection of readings in smaller venues. Poets include Scottish favourites such as Ron Butlin, Jackie Kay and Jenni Daiches and promising international talent, with three young Russian poets, Elena Fanailova, Maria Galina and Alexander Petrova. Two critically acclaimed American poets, Mark Strand and Jorie Graham, take centre stage on the final evening. Sessions also include in conversations, focusing on a single poet or writer in a more informal setting and dead poets’ sessions featuring two poets in discussion with chairman Colin Will, talking about a nominated poet from the past. Performances present music in different guises: perhaps set to music or in combination with other art forms. Stand-up sessions feature ‘seriously funny poets’ in a cabaret-style setting over lunchtime. 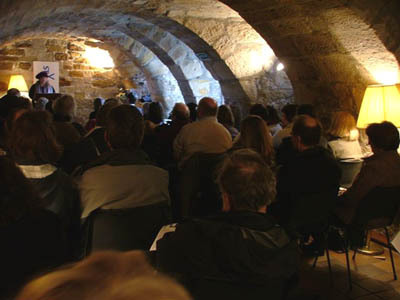 Translated poets from numerous non-Anglophone countries are given a specific platform and children’s events range from readings by children’s author to staged performances.